All your questions can be answered in our consise Frequently Asked Questions section below. If you still have questions, please contact us at customerservice@veganwinestore.com. How do you know that a particular wine is vegan? We ask very specific questions about the ingredients and processes used to make their wines. Typically we get a personal response from the winemaker and share this information with each bottle of wine we sell. 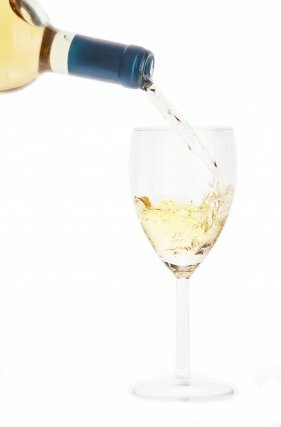 Why do some products link to Wine.com? As we finish completion of our storage facility, we partner with other websites such as wine.com to offer you vegan wines we have personally sampled and enjoyed. For exclusive monthly specials, please join our mailing list. Can wine be shipped to my state? Alaska, Arizona, California, Colorado, Illinois, Michigan, Nebraska, Nevada, New Hampshire, New Mexico, New York, North Dakota, Oregon, Washington DC, Wisconsin, and Wyoming. Which charities do you support? Can you support my local chapter? We aim to help all kinds of animal welfare organizations and will post our list of supported organizations on a quarterly basis. We will consider making donations to local chapters of related organizations, please email customerservice@veganwinestore.com for requests. My wife and I have both been vegan for over 8 years. As we moved more and more into a whole foods based diet, we gradually became major foodies and have traveled the world visiting farmers markets, wineries, vegan restaurants and taking vegan cooking lessons. Naturally, we have found wine to be an intregal component of the perfect meal. We have set up home base in Los Angeles for it's easy access to great farmers markets and vineyards. Did you know? Many wine makers use animal products during the fining process such as casein, gelatin, insinglass, chitosan, bull's blood and egg albumen. Ours wines were not made with the use of any of these ingredients.